WCC 17 is not your ordinary MMA event. World Cagefighting Championships founder Doug Yasinsky has taken it to another level. 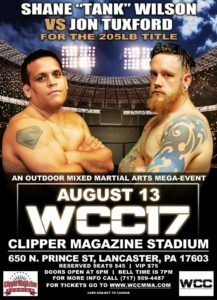 This Saturday night, August 13th, in historic Lancaster, Pennsylvania, Clipper Magazine Stadium plays host to its first ever mixed martial event. An epic, outdoor event in which Doug and matchmaker Mike Bickings have loaded with fight after fight of juicy storylines, rematches, trilogies, and several championship belts on the line. I sat down with the defending amateur light heavyweight champion, Shane Wilson (4-0), who is taking on Jon Tuxford (4-4). 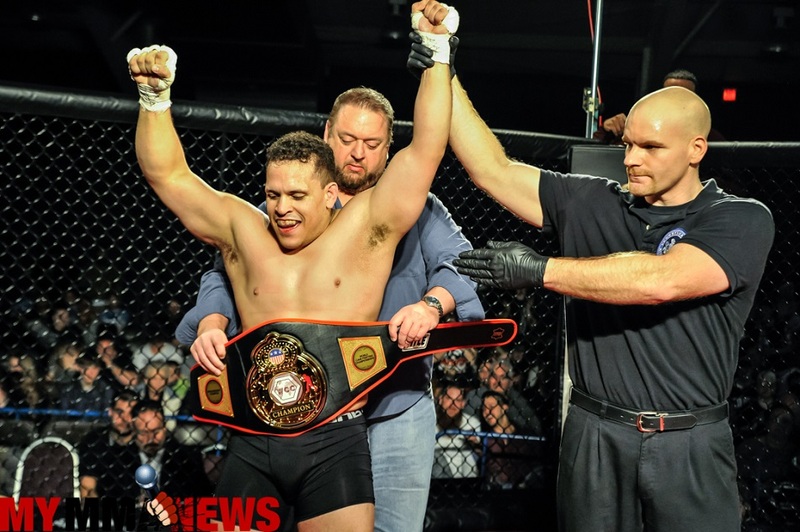 Both Wilson and his opponent have used the sport of mixed martial arts to help them in many ways, to include making a better version of themselves. Both guys previously were heavyweights and now are down to the 205 lb. weightclass. “I feel privileged to be part of this show. Many of my teammates are on the card with me and being in a stadium is going to be an amazing feeling but at the end of the day, I can’t think about that. I’ve got to put in my work,” Wilson said. Wilson trains right in Lancaster, at Gracie 717, a fight camp which is very well represented on this card. He gave credit to others for his success thus far. The defending champion is very thankful for the people that he has met through his fighting career, but he says the best part is being able to have his son walk out with him and also accompany him after the fight to visit many of his friends and fans. Wilson, a Marine Corps Veteran, is like a big teddy bear outside the cage. He gives his time and effort to a local charity, The Heart House, has a wonderfully supportive girlfriend, and a beautiful son. Inside the cage, his persona is the opposite. He pushes the action. I can say that I have seen this personally. Shane Wilson has improved every fight. Saturday night, we see if the streak continues. This entire card is stacked with great fights. Visit www.WCC.com for tickets and info. See you at the FIGHTS!! !